Kickstart student engagement and utilize data with Arcademics Plus! Level up with student achievements and powerups, custom game content, and mind-blowing data analytics. Multiplayer Classroom Gaming. 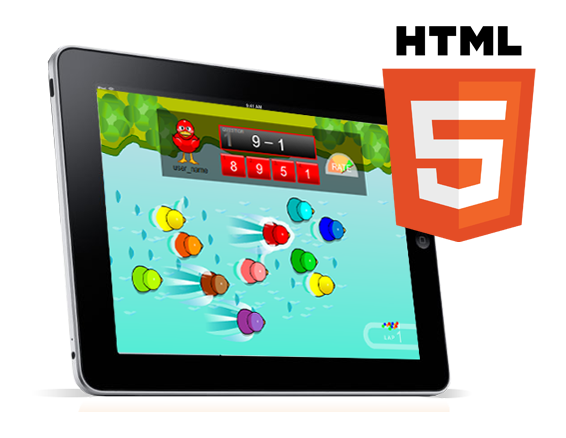 Engage students with HTML5 multiplayer online gaming. Motivate them with friendly competition and achievements. Useful Data. Use progress reports to hone in on student problem areas, and customize game content to fit individual student needs. Proven Excellence. Award winning software that is guaranteed to meet your expectations or you will receive a full refund. Playing the games helped our students retain math lessons, improved their performance, and instilled the fun component. These games are very motivational and work so well because my students are already accustomed to technology. Our class was energized during the pilot. Even afterwards, the students continually asked to play the games. The gameplay kept our students engaged throughout, to the point where they didn't even realize they were learning. For sneak peaks of new games, special offers, and how-to blogs!